"Everyone has become very used to information being displayed in this way". UK industrial company. The Repeat Software team will give you an outstanding level of support with free training videos and we have satisfied customers in 31 countries. "We use the Repeat Signage software as a replacement for paper notices on noticeboards. The information displayed on the screens includes everything from general staff notices, safety announcements, Company news and job adverts and everyone has become very used to information being displayed in this way. We have setup our presentations so that the information is displayed in the center of the screen with feeds at the top and bottom of the screen displaying news and sports headlines. 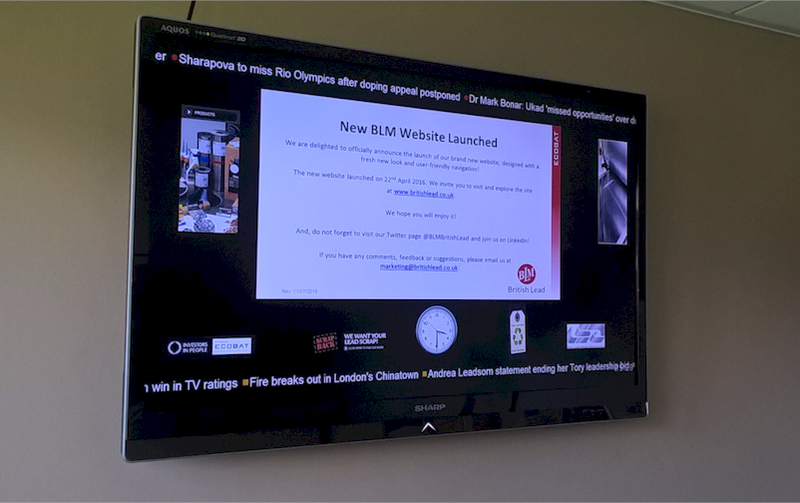 The information is put together using PowerPoint which is very simple and allows us to use the transitions and effects from PowerPoint on our displays which makes them look both less staid and more professional." Roger D Riggs, IT Manager, British Lead Mills. 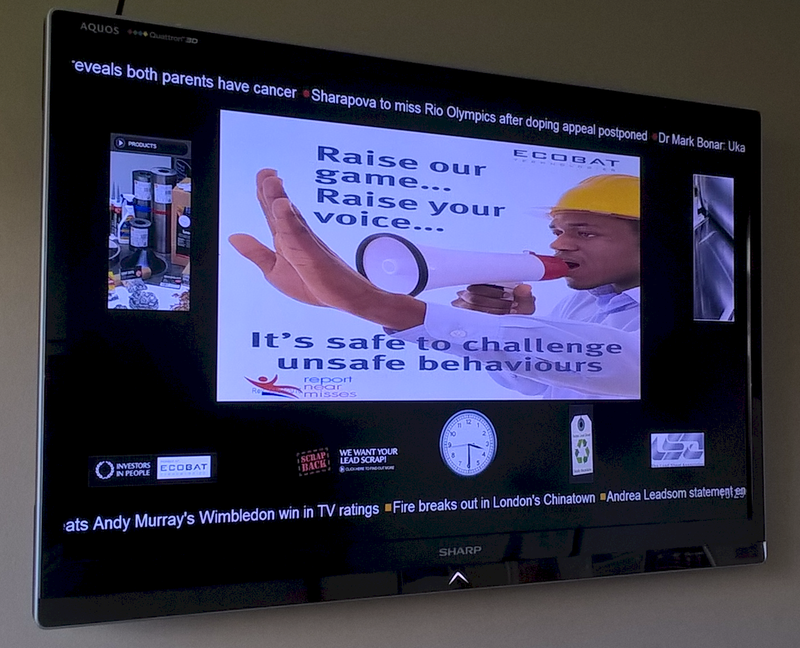 Repeat Signage, user-friendly, professional digital signage software helps you keep your staff, visitors and customers updated on important information, with RSS news feeds, videos, webcam, playlist of images, documents such as Word, Excel, PDFs, and you can also incorporate PowerPoint presentations. Local network and remote updating, plus touch screen support, gives a flexible package with no on-going costs.